Today I cycled another 22.0 miles on my Schwinn 150. I have now cycled 129.2 miles or 207.9 kms since I began JTIII. I have now cycled a total of 8,746.3 miles, 14,075.8 kilometers since I began this exercise regime on December 2, 2012. My original goal, which I just read, was to cycle 9 miles a day. I am currently now 4,822.3 miles over what I had originally intended to do. My total today should have on my 436th day 3,924.0 miles. My total to date is now 8,746.3. Oh well…my daily average has been about 20.1 miles per day. Today I am located on Braidwood Road and I believe I am somewhere close to the Yerriyong State Forest and the Turpentine Range. I just passed Syringa Road. Just about 104 miles left to go to get to my number 2 goal destination in Australia. And I have to stop looking at property and real estate. Some pretty nice places. Jim’s Trek has now received 31,351 Pageviews according to Blogger. And just before I posted today’s update Top Listed.Net Bike tours has ranked JT at Number 6 of their top 50. Not bad for this fly on the wall. 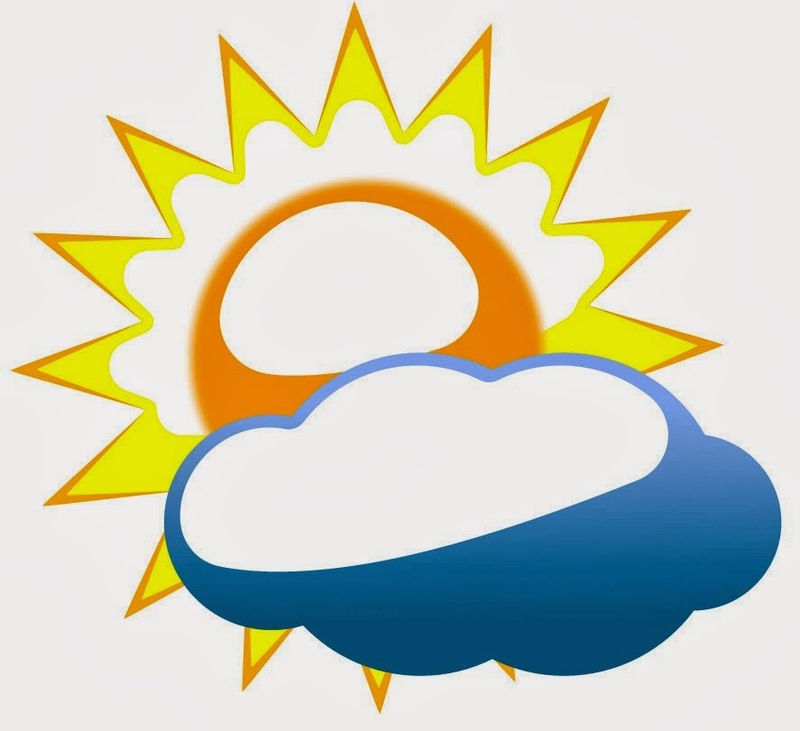 Tampa weather is right now sunny and about 63° F, that’s about 17.2° C. And it is about the same temperature but overcast at my location in New South Wales. Thank you Siri. Guess I am committed to these gadgets. 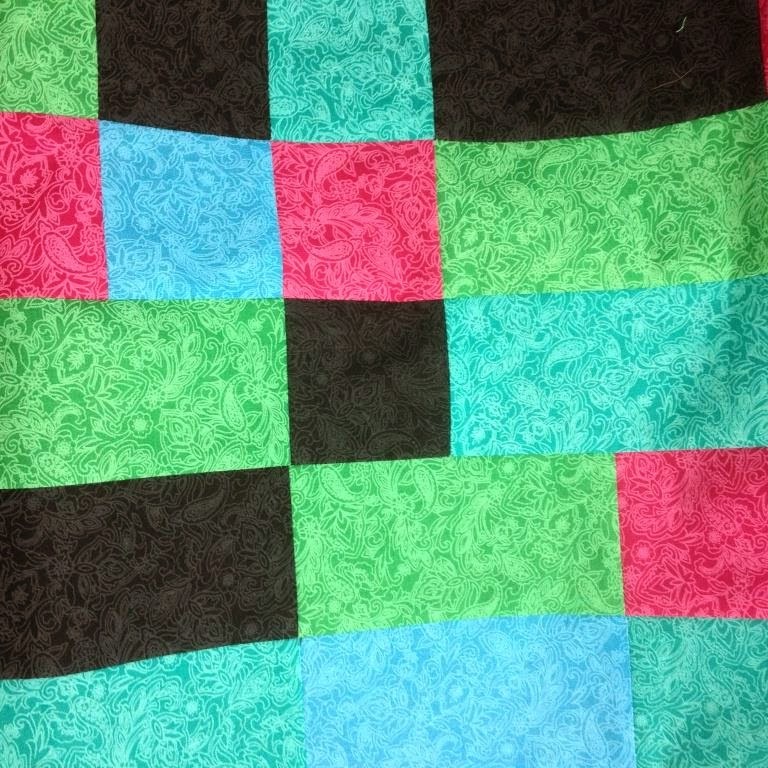 The thread choices have been picked for H-1 and the sample quilting looks pretty damn good. Marilyn’s heads have been positioned on our new Warhol's Itch background. And the pebbling effect on our Tampa Kaleidoscope is a fantastic compliment. Now we are working on our H-2 design. Also about 50% of the loose ends have been sewn in to our Glowing afghan. Just a fair bit to keep us busy. 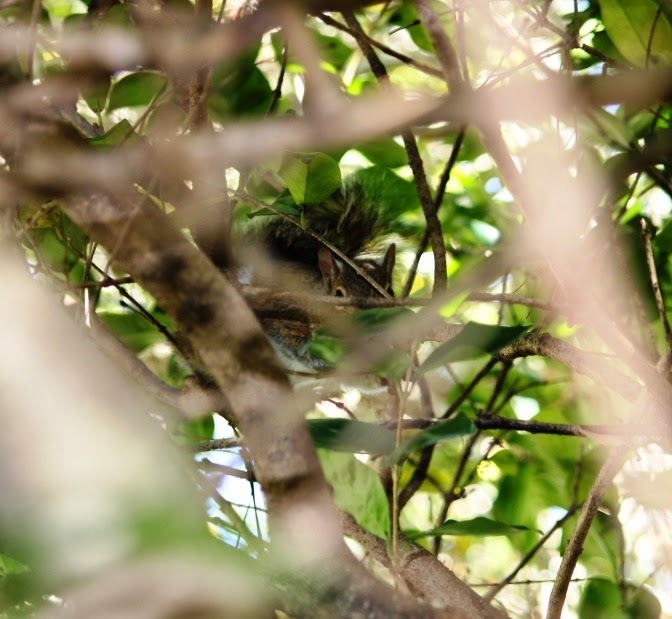 If you are reading this blog and just so happen to be somewhere along my route in Australia please feel free to drop me a line at jsmith58@gmail.com. Certainly would welcome it. My immediate stats this morning: 20.9 miles on my Schwinn 150 and 80 sit-ups. I burned up 633 calories and also my morning fasting blood count is in at 91. Guess I have nothing to complain about on this 435th day of this crazy man's trek. Is this trek somewhat obtuse? Maybe. Is it just some way for someone of my age to fill part of his day? Maybe. But, I am not going to complain about the current results, the way that I feel, and the way that I look. Maybe narcissistic? Could be, and I definitely cannot reverse the clock. I can just do what I have to do. Period. This morning I am on Moss Vale Road/B73 and I am headed south. On this part of my Trek, the virtual part, I hope to see my next goal point here in Australia in about six days. Earlier on the route I passed by Fitzroy Falls. The above image was taken in 2009 by Bjenks...and yes it is from Wikipedia. Ain't the Cloud great? For those of you following Jim's Trek III, I am just east of Cambewarra Village. I am still in New South Wales. Our current work on four immediate projects are full step ahead. The projects are three quilts and wall hangings and one afghan. The three quilts and wall hangings are Tampa Kaleidoscope, H-1, and Warhol's Itch. The afghan is Glowing. Today’s cycling on my Schwinn 150, 21.7 miles. And now I have reached my 8,700 mile target…actually 8,703.4 miles. Converting it definitely looks greater, at 14,006.8 kilometers. And I completed 80 sit-ups. I actually began doing sit-ups now I believe in a “more correct” way. I checked on wikiHow – How to Do Sit Ups. 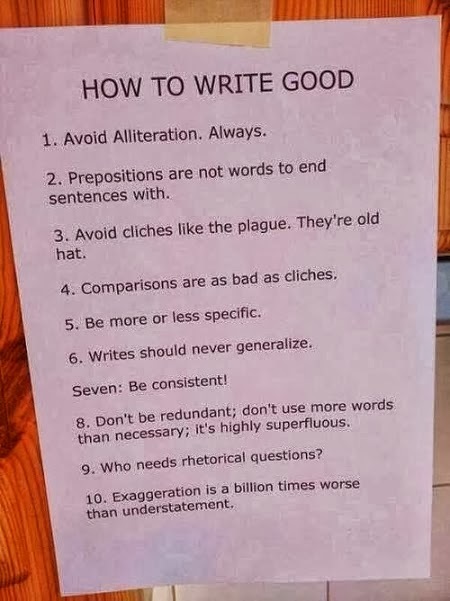 And obviously I was doing them wrong. This morning I am located on Sheepwash Road just south of the small town of Avoca in Wingecarribee Shire. 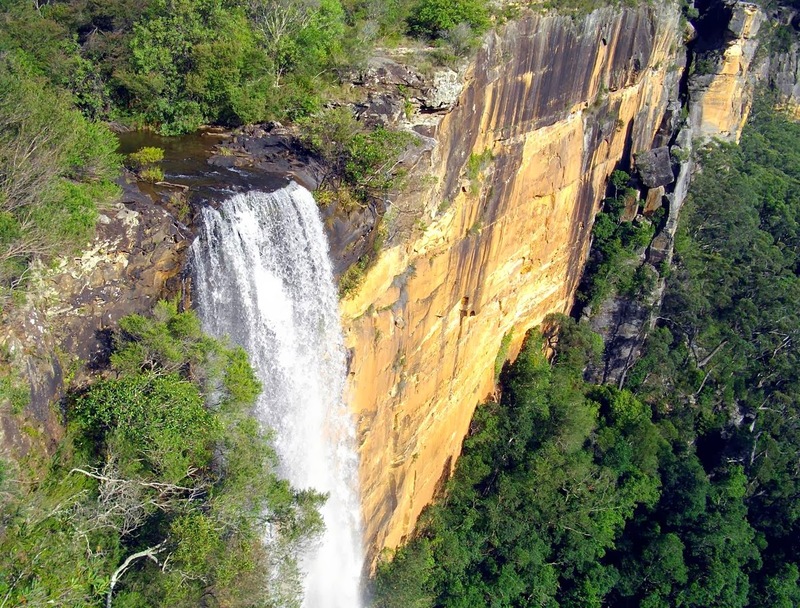 I should be coming up, tomorrow, on the Fitzroy Falls Reservoir. I’m still in New South Wales and I am approximately 147 miles from my next goal location. I just thought that the above would be appropriate. Eh, RH? My blood sugar dropped 6 points this morning to 92. I am still keeping those diabetes meds at bay. Supper last night was Egg Drop Soup and a Japanese version of a Chinese dish – Seasoned Rice with Pork and Komatsuna. (I used collard greens.) Check out the Kewpie YouTube video. I am so glad that it had sub-titles. Today I cycled 21.9 miles on my Schwinn 150. I am now two days short of hitting the 8,700 mile mark. So far I have now cycled 8,681.7 miles, 13,971.9 km. This morning on my Trek I made it to Yerrinbool in New South Wales. The population is about 1,100 give or take. I am located on Remembrance Drive which is also the Old Hume Highway. According to the 2009 Google image I am at The Falls Road. I wonder if that house is still for sale? Okay James, off your soapbox. My blood sugar count this morning was 98. It was up 9 points. Supper was a green omelet. Then I had a couple of chocolate chip cookies. 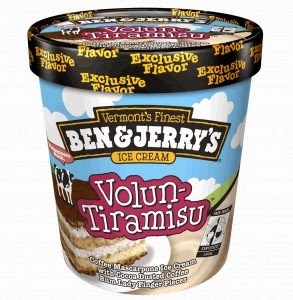 And then some Ben & Jerry’s Volun-Tiramisu ice-cream. Then some ripple potato chips and about eight mini Twixes. And then I had a half a turkey and provolone sandwich at about 10:00 pm. I just was in one of “I got to eat” moods. And this morning I burned off 683 calories on my Schwinn 150. 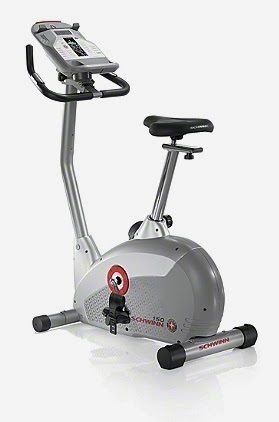 One hour and 10 minutes and 21.6 miles, 34.8 km on my Schwinn 150 this morning. I burned up 658 calories. I have now clocked 42.7 miles, and that is 68.7 kilometers. 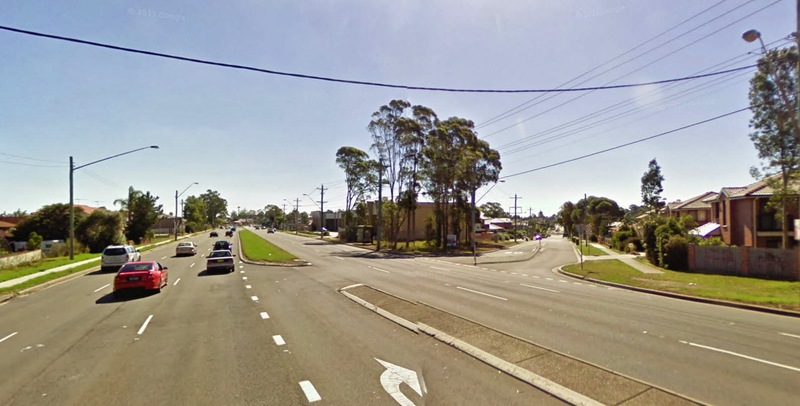 Today I am located on Tourist Drive 12, southwest of Campbelltown in New South Wales. I am about 310 km or about 190 miles from my point goal #2. And if I were sitting at the fringe about synchronicity for the last, oh about 40-plus years, I certainly can now say that I have stumbled over by what happened to me yesterday. As you know Jim’s Trek III is my virtual trek. It is my dream world of cycling on my Schwinn 150 in Australia. Well weird things, or should I say synchronistic events have been happening. These coincidences have not been planned. The recipe for cod and kale, à l’Australien, no. I planned that. The movie Newcastle, yes. I chalked that one up to happenstance. But yesterday as I was reading Julia Cameron’s book Walking in This World, second in her The Artist’s Way series, and following my train of thought and daily reading, I turned the page to continue. In each margin on almost every page Cameron has added certain quotes. On page 150, my next page, is the quote “Those who lose dreaming are lost”. And all I could do was laugh out loud when I noticed that the quote was acknowledged “Australian Aboriginal Proverb”. I just laughed. And laughed…and laughed again. Synchronicity? Definitely. My blood sugar this morning registered in at 89 mg/dl, 4.94 mmol.l. 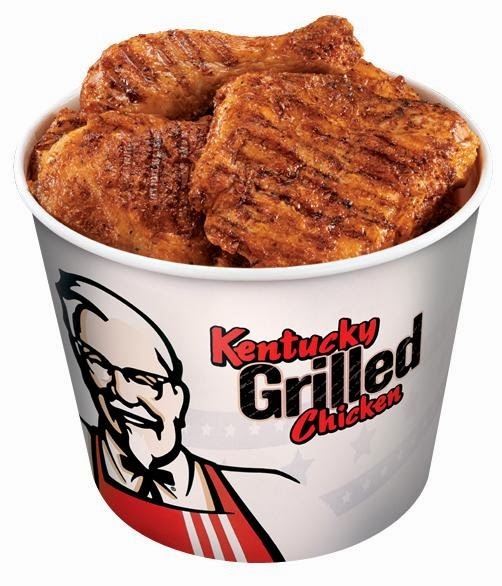 I did not feel like cooking and so I just had some grilled chicken, potato wedges, and coleslaw from KFC. I know that this meal was nothing to write home about but I was just trying to make sure that as I keep my diabetes in check I am making sure that I eat and sample from what may or may not be available. And I am still diabetes meds-free. Yes KB, the part that got me to Australia was me treading water continuously each time I paused for a breather. And BR definitely will I let you know as I attempt the perimeter. And thank you SF. The inner top of our new crocheted afghan Glowing has been completed. Check out Afghans SB for updates shortly. The intricate work of piecing our design and quilt/wall hanging H-1 continues. We're trying to come up it's new name. Follow our progress at Quilts SB. I’m back on my Schwinn 150 this morning and I cycled 21.1 miles. I have started Jim’s Trek III. This is Day 1 of JT-III. 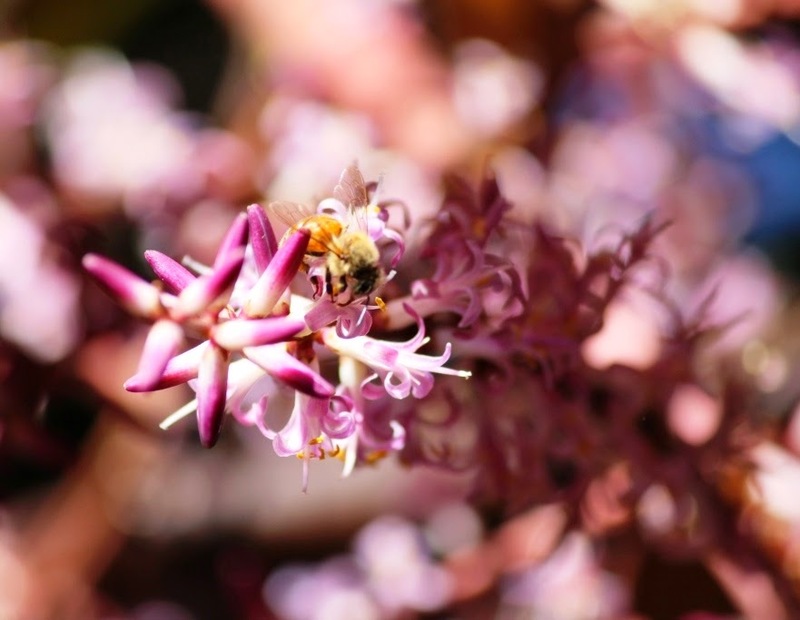 Together and since 2 December 2012 this is Day 431 – AD 431. I have now cycled a total of 8,638.2 miles or about 13,902 kilometers. This morning I dropped out of the iCloud. I have landed at a point in Sydney, Australia. Definitely much faster than a trans-continental and a trans-Pacific flight. 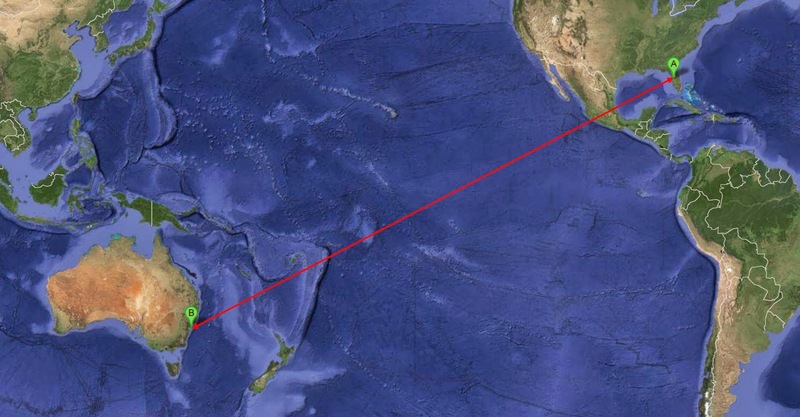 The distance from Tampa, Florida to Sydney, New South Wales is 9,259 miles, 14,901 kilometers. My starting point for my next virtual adventure and trek is a location on George Street at Martin Place. I take off going south on George Street toward Barrack Street. As I cycle my 21.1 miles, 34 kilometers, I land at a point on Hume Highway/A28 at Myall Road. I am now headed to my Goal Number 2 and I have to remember that I am now cycling on the opposite side of the road. Including Sydney I have identified 16 goal points that I will reach for for as I make my journey of Jim’s Trek III on my Schwinn 150. 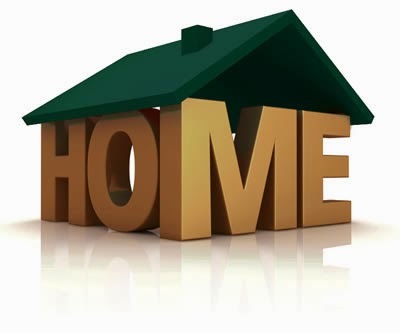 And I have a different request, I you are a reader of my virtual Trek and blog and just so, by chance, happen to be somewhere along my route in Australia, please be free to drop me a line at jsmith58@gmail.com. I certainly would welcome it. And my blood sugar this morning registered in at 89 mg/dl, 4.94 mmol/l. Last night dinner’s recipe was from AllRecipes Australia - Baked cod with potatoes, tomatoes and rocket. I did not have any tomatoes or rocket. I substituted green pepper and curly kale and added some white wine. Tremendous dish that I had to have a second helping. Another new goal I have chose is to make an Australian recipes at least once every week during JTIII. Last night I randomly picked a movie to watch, the 2008 film Newcastle. Synchronicity is working here full-time. I had no idea that it was a surfing movie, because I did not read the summary, and I did not know that it was an Australian movie. And my viewing companion this morning while on my Schwinn 150 was the fifth episode of Season 5 of Breaking Bad. I kept the film going while I cycled and I finished my 75 sit-ups. And spring and the pollen have arrived here in Tampa. I think that I am ready to start off on my new trek, Jim’s Trek III. Keeping true to myself I am still making sure that I have another day off. I have been working on some things that I need to accomplish just before I start this new journey. Max is waiting for me to start. And to some of the responses that I have been receiving there seems to be a slight belief that Smith may have gone off his rocker and maybe is beginning to lose it. Maybe, I have…but then again I am losing it in a somewhat healthy way. Prime Audi in Massachusetts is trying to send me a 2014 Audi Q7 3.0T. Someone must have got the email addresses mixed up. And for all intents and purposes I do not ever remember me be called “Jake”. But I definitely would like to head of the line if I was to be a “surprised” recipient of a new 2014 Audi Q7 3.0T. Jim’s Trek III, Uluru. 16 goal points highlighted. The component parts of our new H-1 quilt and wall-hanging are almost completed. And Chipper has been watching us place the design format on the dining room table. Six rows left to complete the inner top of our new crocheted afghan Glowing. Today it is very strange that I am not getting on my Schwinn 150. Yes I am taking a break. It seems extremely weird that the process and habit that I have created over this past while, that is, to get on my stationary bicycle each morning, is so fixated in my mind. It is sort of like I have to hold myself back from something that seems to be calling to me from the distance. Just wondering. I have been reworking myself and my Schwinn 150 for the next stage of my journey, Jim’s Trek III. I have laid out a schedule of key markers, mileage, distance, weight, etc. in a much more systematic way and a wee bit more organized than that of either Part I or Part II. I supposed I have created a habit. Work is progressing on our newest quilt and wall hanging H-1. We haven't titled this one as yet. Advice to anyone working with fabric pieces near an open window, use weights or pins. Fantastic news SC. Speedy recovery, Sir CN. Today on 20 February 2014 I have cycled the last 21.7 miles on my Schwinn 150 Trek for a grand total of 8,617.1 miles. The last leg of my Trek included my 39th and 40th Interlake address goal points. The 39th is Interlaken Drive in Trinity and the 40th is my home. My virtual Trek has taken me on a route of 40 goal points from Tampa, Florida to Seattle, Washington and back again. And now that I have accomplished and finished Jim’s Trek Part I and Part II I am taking a couple of days off. I will be back. Jim’s Trek Part III will begin in a couple of days. I have mapped my new virtual journey and I will be cycling on my Schwinn 150 as best as this old body will keep me going. And this morning I cycled 21.8 miles on my Schwinn 150. My total mileage today is now 8,595.1. I am now located on Little Road at the intersection of Plathe Road. And I am just about to cross the Pithlachascotee River in Pasco County, Florida…and that is a mouthful. My backyard is just around the corner. I learned this morning that I can definitely control my blood sugar count without medications. Yesterday morning my FBS count was 113; this morning it was 93. That is 20 bloody points drop. Okay, okay I cycled yesterday on my Schwinn 150. I also watched what I ate. Last night for supper I mixed up a batch of Immunity Soup, a recipe I found online at the 101 Cookbooks site. I had two heaping bowls of the Soup and I certainly was satiated and full. I used Portabella mushrooms, Rainbow Carrots and Rainbow Radishes. I also added one whole Cherry pepper. 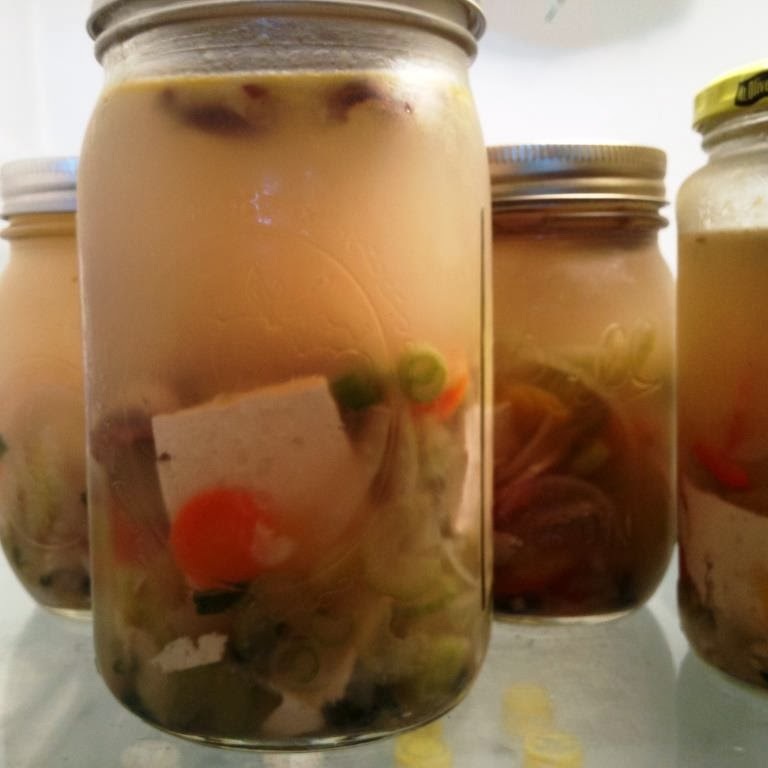 It was bloody good…and I can see where I could add and adapt the recipe and ingredients. I have been working on Jim’s Trek Part III. My mapping is sort of complete and I have a couple of new thoughts for this new Trek. 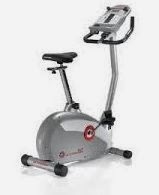 Of course I will be using my Schwinn stationary bike. I have to make my blog a wee bit more interesting. Work continues on our new H-1 quilt and wall hanging. 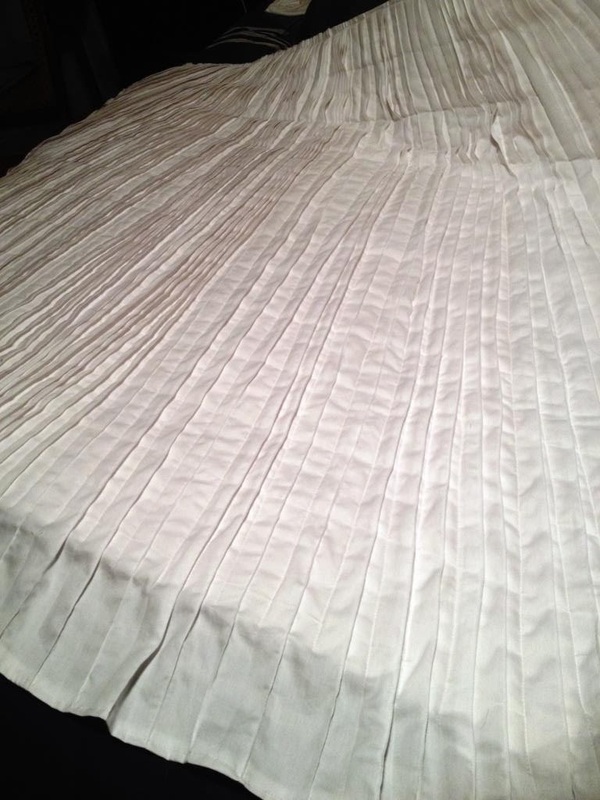 This one has us excited as we see the fabric translate into production from our design. Stay tune for my updates at Quilts SB and at my Quilts SB Facebook page. Today I am on US-19 S or Commercial Way and just north of the major intersection at Cortez Boulevard. I guess I am now just west of Brooksville, Florida. My virtual location image of Google Maps was taken, and I supposed was catalogued in May of 2011. Just wondering about the intricate program that actually corresponds randomly to chosen points to Street Views on the Google Maps program. I can just imagine the size of that database. Early morning blood sugar count up this morning to 113. 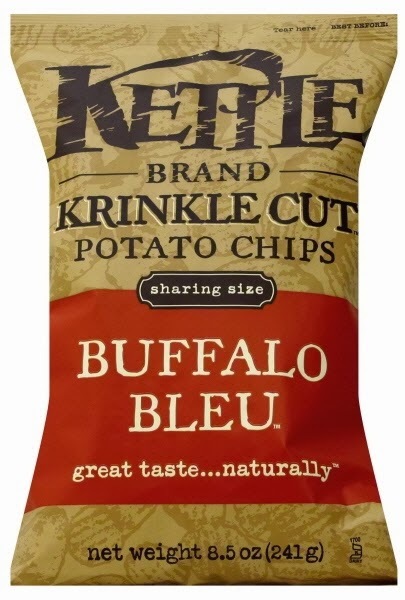 I had a craving for and then proceeded to pig out on a large bag of Krinkle Cut Buffalo Bleu Potato Chips. Haven't done that in a long, long time...but they were so,so good. This morning 170,728 words written since I began my morning pages. This is exclusive of my writing of my blogs. And yes I spend a lot of time writing. Definitely no book(s) yet. Just words. And I think that I am just following my Newsman advice. “Exercise is essential to ‘grow back your brain’”. What can I say? There has to be some positive correlation now between the grey matter between my ears and the silver grey Schwinn 150 that I have been cycling these now 8,573.6 miles. So Marie-Claude does this mean that I am actually getting smarter? Andy and I thought that you may like a quick peek at the progress we have been making on our new Warhol’s Itch. This one is certainly something different. The design and the layout of the fabric is looking more and more like our original intention and draft. This morning I got up early. I cycled 22.1 miles on my Schwinn 150. My total to date is now 8,551.4 miles. Wonder if my Schwinn 150 will ever need a tune up. 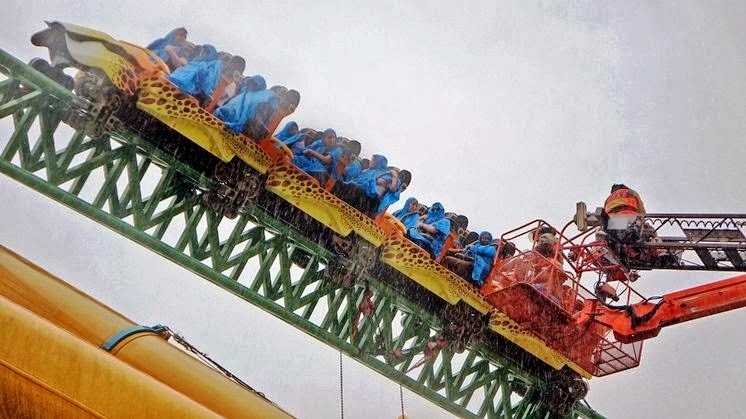 It certainly just keeps going fine. 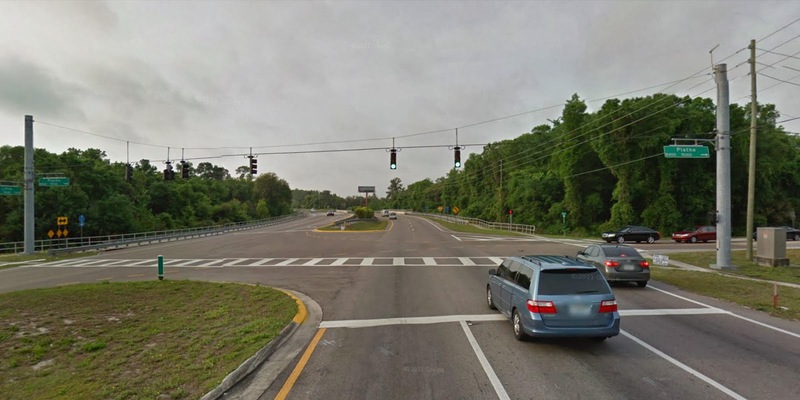 My virtual Trek has me now located on US-19 S/US-98 S/S Suncoast Blvd. I am just east of Crystal River Preserve State Park, and of course, I am in Florida. Per the map I am at the intersection of W. Arber Court. I only have about 52 more miles before I reach my 39th Interlake address goal point. It also looks like Jim’s Trek Part II will come to a ribbon’s end in about three days. I am shocked. What will I do next? Jim’s Trek Part III? 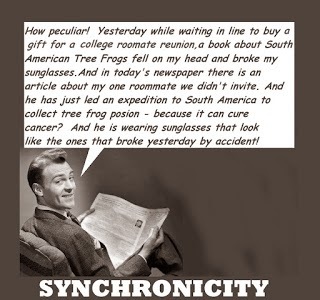 And synchronicity plays a part. I am just now listening to Hallelujah by Time for Three on their 2010 album 3 Fervent Travelers. Apropos, to say the least. Last episode of Season 4 of Breaking Bad was more than enough to keep my feet just pumping at an average 20.2 per mile clip on my Schwinn 150. And then my version of 110 sit-ups just flipped right on by. One question that I do have. Who is the set dresser or set designer on Breaking Bad who has an obsession with the color purple? Marie and her purples? And of course I have been engulfed with the new season of House of Cards. Just found out that the show and story line was lifted from the BBC 1990 miniseries of the same name. Guess I may be just a wee bit slow. Now I have another series to check out. First two-thirds of our new H-1 quilt and wall hanging has been pieced. We are trying something different, once again. Just a continuation of our learning process. Check Quilts SB for updates. And CK has a best friend...SMey. This morning I attempted to and cycled 22.2 miles on my Schwinn 150. My total miles are at now 8,529.3. Today is my 426th day of riding my Schwinn 150. It is also the 199th day that I have been cycling in Jim's Trek Part II. My virtual Trek still has me located on US-19 S/US-88 S. And I just passed the Village Pines Mobile Park. Not sure if I understand the “Smokers Only Heart Disease” sign on the left-side of the highway. That sign was there via the Google image taken in 2011. The new sign, in the same spot as of September 2013, now reads, “Spot A Stroke Fast”. Curious… Using the recent words of a TV newscaster on Channel 8, "Is this Florida-esque?" The design for our new H-1 quilt and wall hanging has been completed. Now to work on the dimensions. We figure that Warhol’s Itch could be ascribed to an M&M that may be about 12-feet tall. Working on the design for the new H-2. And there is still about 8 inches of crocheting to be done to finish the interior top of our new Glowing. And Breaking Bad continues to be my cycling companion. I am at a point where I am not sure where the plot line is going but the writers and the producers are certainly keeping me interested. 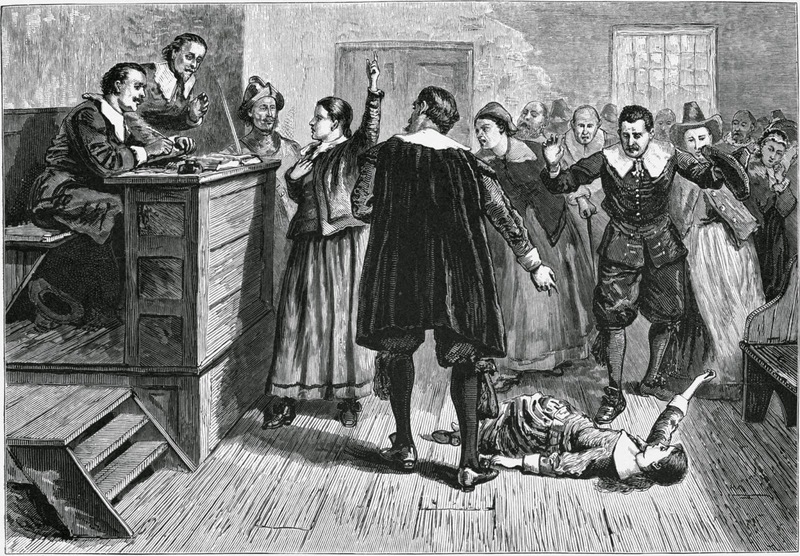 It seems that crime, if this is crime, does not pay…or does it. Supper tonight, I’m going to try a Sous Vide sirloin tip roast. Should prove interesting. 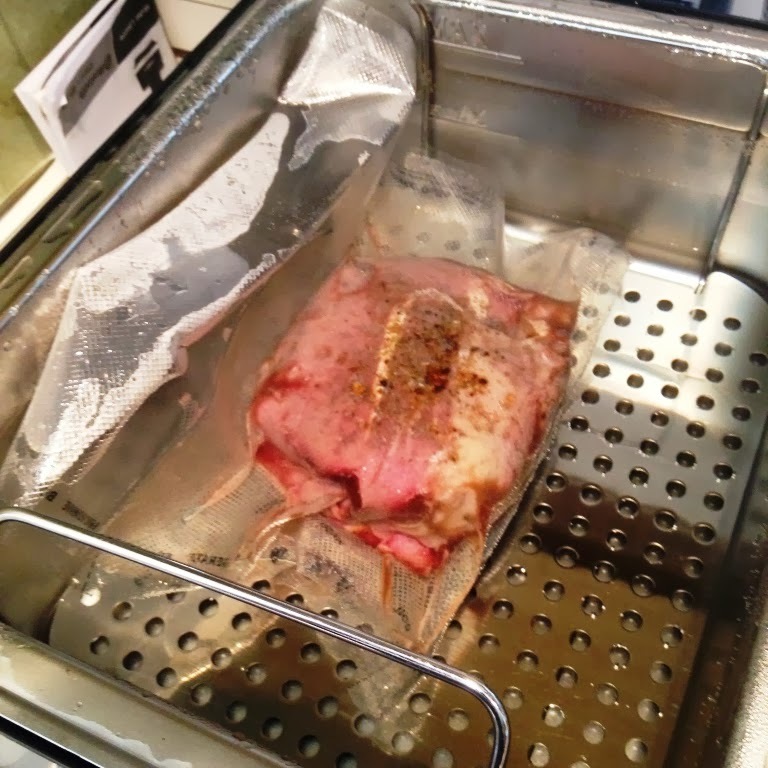 Vacuum seal roast and immerse in a water bath at 138.2°F. For how long? About that many hours. Five. Today the day after chocolates, fergit the flowers, I cycled another 22.0 miles on my Schwinn 150. I now can say that I have done 85 thousand miles. To be exact, 8,507.1. 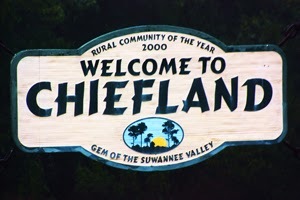 Today’s virtual Trek position is somewhere on US-19 S/US-98 S. I am south of the City of Chiefland, Florida, population 2,250. I am now only 96 miles from my 39th goal point. This afternoon spent running errands. I didn't spend too much time writing my Jim's Trek blog. 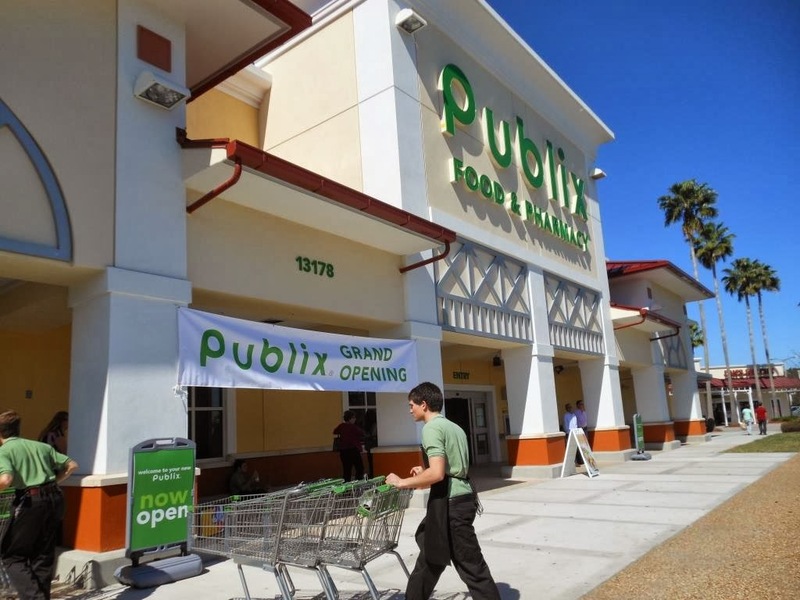 The new Publix, actually remake, opened this week. I swear every octogenarian and above must have appeared from out of the woodwork. Today I cycled on my Schwinn 150 21.3 miles. My total miles on this 424th day are now 8,485.1. Tomorrow it looks like I roll over 8,500. This morning I am headed east on Co Rd 55/US-19 S/US-27 Alt S/US-98 S toward SE 633 St/Neely Hicks Rd. I am, what appears to be, continuing to follow US-19 S. I soon will be crossing over the Suwannee River. And I only have about 118 more miles to my 39th Interlake address goal. This morning first thing, I wrote up my morning pages. I hit 760 words and I am now following a 121 day streak. I began this morning pages challenge 222 days ago and I have only missed two days. Not bad, and since I started 750 Words I have written, excluding my blogs, 167,678 words. And obviously it is Valentine’s Day. How could I not tell? There are so many bloody hearts in every candy and chocolate store, physical and online. There are so many sure and sappy outbursts of endearment and mushiness on every type and venue of social media. But there are three other types of celebrations slated for February 14th, apart from Valentine’s Day. 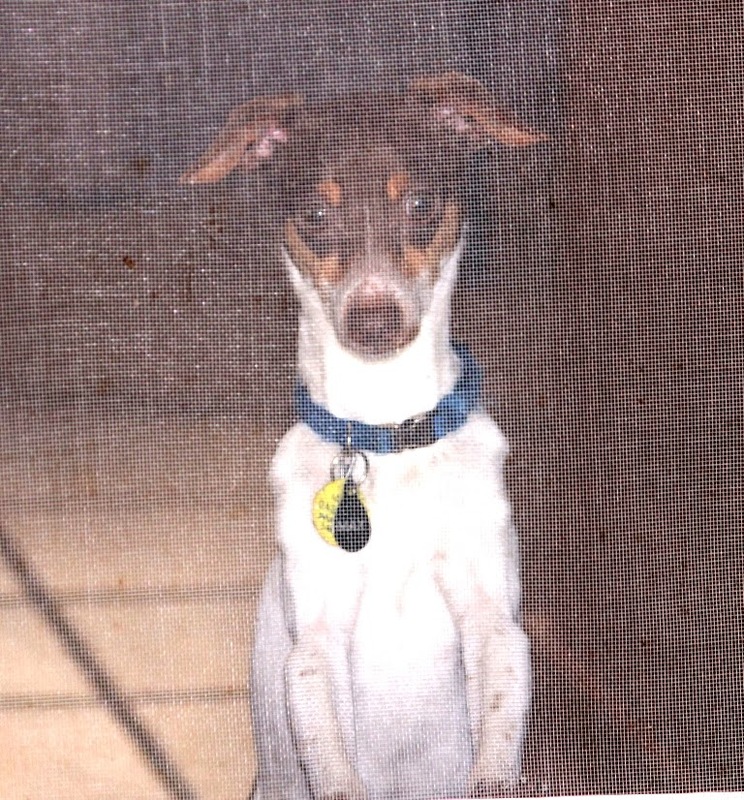 The three are Ferris Wheel Day, Donor Day, and Pet Theft Awareness Day. 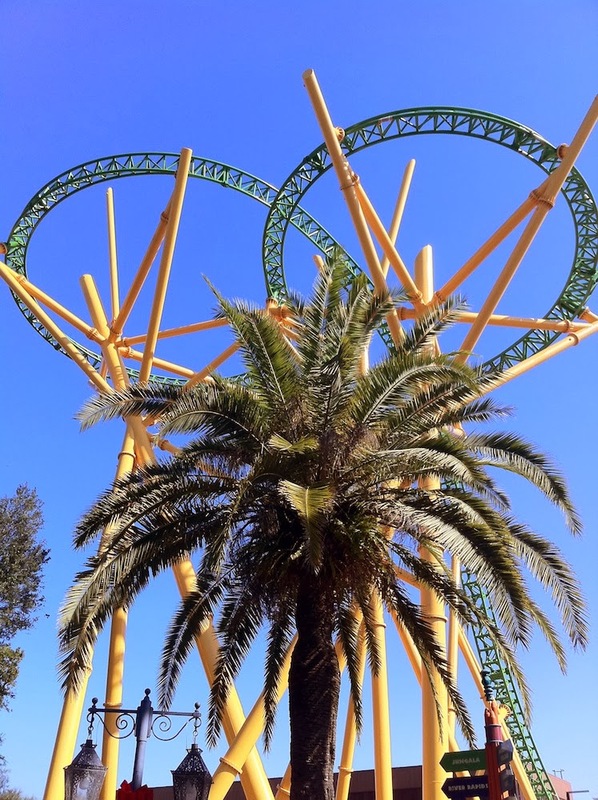 Just make sure that you avoid the Cheetah Hunt coaster at Busch Gardens. And by the way, Jim’s Trek reached 30,005 Pageviews. Today I cycled 20.7 miles on my Schwinn 150. Today I am now located on County Road 55/US-19 S/US-27 Alt S/US-98 S. I’m looking at the Google Maps satellite vantage point. I wonder if tourists get confused at reading Florida maps…or in this day and age all is just left to the computer voice in the GPS gizmo on the dashboard. The Google Maps image is from five years ago. Last night’s supper: Sous-vide Beef Tenderloin with Kumquat Chutney, Tante Malka’s Potato Kugel Deluxe, and a Salad. It sounds extreme and there were one hell of a lot of dishes to clean up, but the meal was worth it. And my early morning blood sugar count came in at a stunning 87. Not that I do not like a good restaurant meal, I can almost guarantee that my blood sugar count will be lower when I take charge of my own cooking. 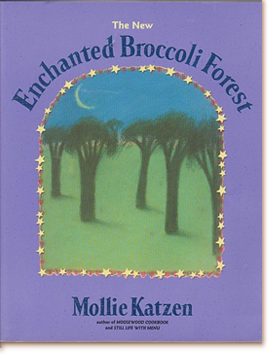 Oh and by the way I found the recipe for Tante Malka's Potato Kugel Deluxe in Mollie Katzen's The New Enchanted Broccoli Forest, 2000. I got into a conversation with someone about the concerns of using Facebook. Am I pro or con? Obviously I use it to announce new postings to each of my blogs. I also will use it to make some of points from time to time. But who is listening...or should I say reading? Facebook and other social media, from my perception fulfills my narcisistic need to expound. That's it in a nutshell. Do I care if there is anybody listening, albeit reading? Not really. I don't lose any sleep. But I do get the satisfaction of seeing my visual echo. 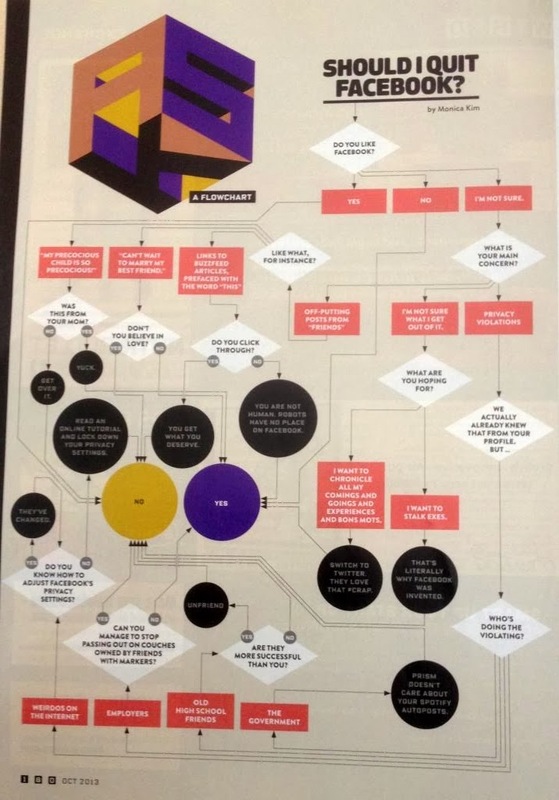 I did chance upon this flow chart on the October 2013 issue of Wired magazine... the paper version. And today I cycled another 22.0 miles on my Schwinn 150. My grand total miles to date is now 8,443.1. This morning I rounded Perry, Florida and am now headed south, on my virtual Trek on US-19 S/US-27 Alt S/US-98 S. All-things-being equal I only have 175.0 more miles and then I will be home. Damn, I can’t wait to see my mental odometer turn just over 8,600 miles. I still have my last to goal points, the 39th and the 40th but I am sure that I will feel some great sense of accomplishment. And then on to Jim’s Trek III. Today I'm trying to determine whether this new thing is something of a big deal or something that I just need to make sure that I am aware of and watch. The thing cut from my forehead, just at my magnificent hairline, has proven to be malignant. And of course it has been cut out and frozen. At this time it is nothing to be too concerned about... but of course I need to know the definition of malignant. From Merriman Webster Dictionary - Malignant - Medical: very serious and dangerous: tending or likely to grow and spread in a rapid and uncontrolled way that can cause death. Well, so what next, Gloria Gaynor? And then I see and absorb the amazing gift of Ethan Bortnick. Of course I had to search and learn about this young prodigy from Pembroke Pines, Florida. The Creator and or Creators have certainly passed on one tremendous gift. 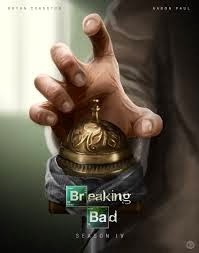 My viewing companion of Breaking Bad is an episode that seems to be setting up some new story lines. Work on our Warhol’s Itch is continuing at a pleating pace. We’re working on two new designs for our Hoffman pieces. Should prove interesting and something different. Glowing, our crocheted afghan has increased in length. Only about 22 more rows to go to complete the inner top. My fasting blood sugar count this morning was 95. I am now rethinking and examining my eating habits. I think I need to reduce my body fat percentage. This morning I cycled an even 21.0 miles on my Schwinn 150. My total miles to date now equal 8,421.1. Today I am located somewhere, still in the Panhandle of Florida, on Highway 30/98. I am still headed east and will soon come upon Caggage Grove Road. 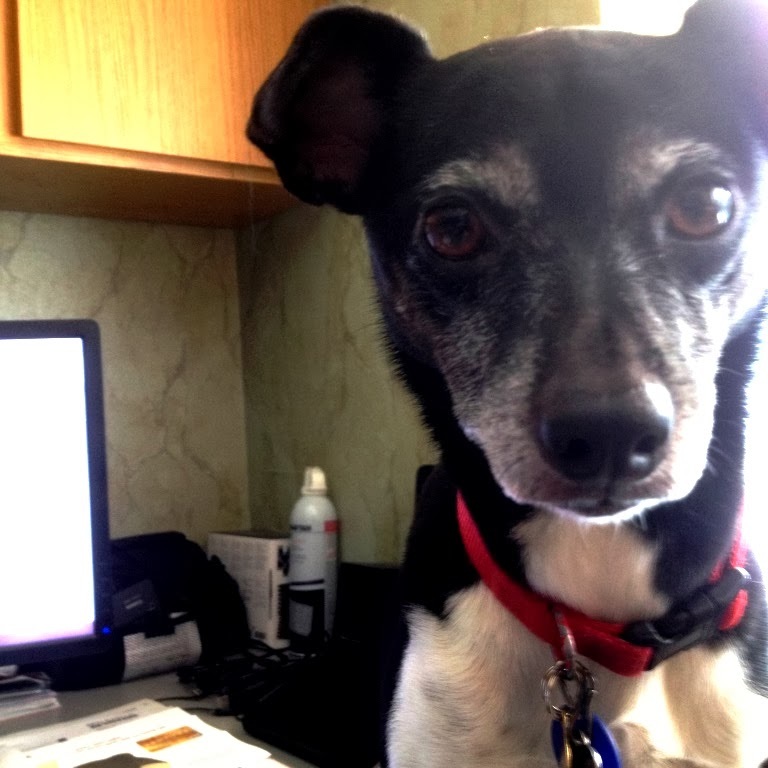 Have you ever tried to do 100 sit-ups when four idiot Canines are each trying to get your undivided attention? And then Bella decides that she needs to commandeer my mouse pad. I would say that these mini-dogs control this house. Has anyone with a Bright House subscription ever considered that the exorbitant subscription costs go to fund the Bright House station that is only available to Bright House customers? And is there one sub-par Bright House television link that we could do without? Didn’t cook last night. Had to get to Jo-Ann’s to buy some more white cotton fabric and slip material. No, I am not dressing up in drag. We are still working on the design for our new Warhol’s Itch.